It looks like they might get Spider-Man right this time. The first trailer for “Spider-Man: Homecoming” is out, and, while it’s a standalone movie, it’s also furthers his indoctrination into The Avengers. The trailer debuted Thursday on “Jimmy Kimmel Live!” and gave us our first extended view at Tom Holland as the web slinger in his own movie, according to Entertainment Weekly. It also shows plenty of Tony Stark/Iron Man, who is mentoring the teen Peter Parker. Which means – finally – there will likely more of the humor some of us old people remember reading the comic books and watching the animated series in the 1970s. One piece of footage shows Spider-Man surprising a bunch of bank robbers wearing extremely cheap masks of the Avengers. We also see the villainous Vulture, played by Michael Keaton. 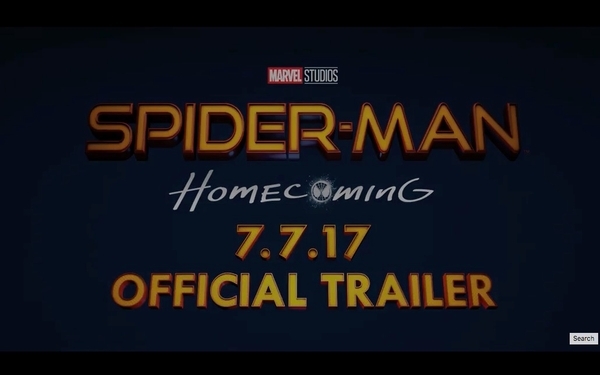 “Spider-Man: Homecoming” hits theaters July 7. This article has been viewed 2238 times.